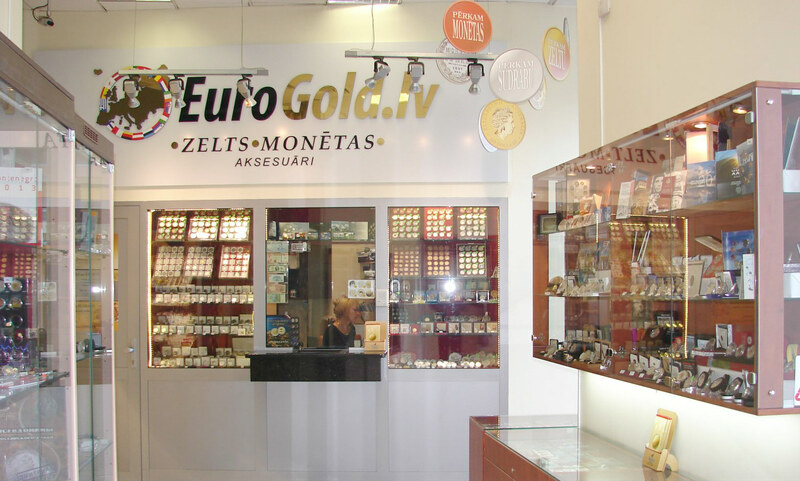 EUROGOLD.LV numismatics stores in Latvia. The company has shops in two locations in the center of Riga and online shop for people to look around, get inspired by, discover and buy unique collector coins from around the world. Also we offer delivery to most countries worldwide by post office and courier service. EUROGOLD.LV numismatics store in Post Office building Sakta, Brivibas bulvaris 32, Riga, Tel. +371 27 75 4444. 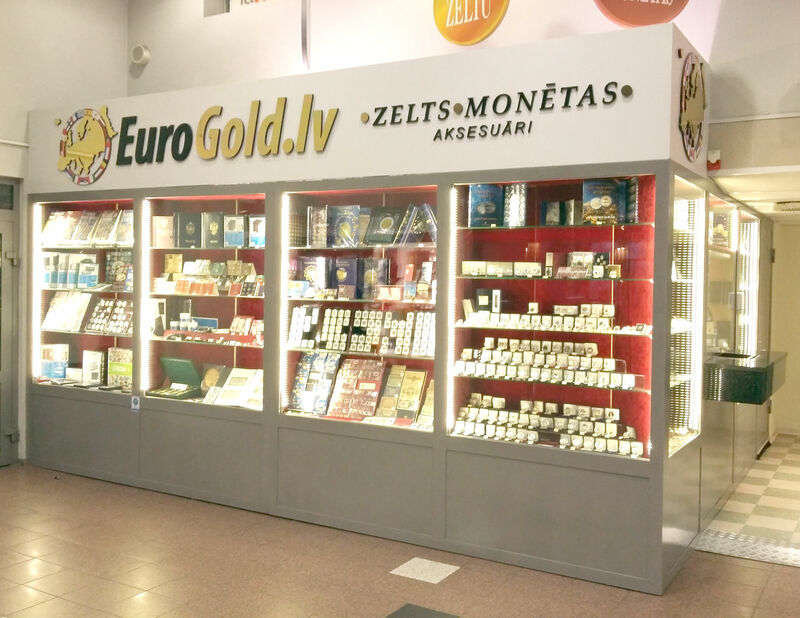 EUROGOLD.LV numismatics store in Riga main railway station building, Stacijas laukums 2, Riga, Tel. +371 28 66 0076. 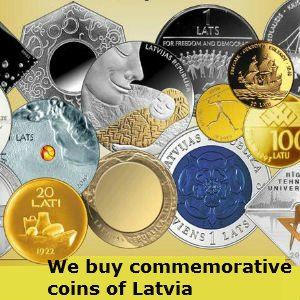 You can find and buy all commemorative and collector coins issued by Bank of Latvia (more than 130 products). We offer great variety of 2 euro commemorative coins, euro circulation coins and rare euro collector coins, popular investment gold and silver coins and bars as well as great range of old and historic coins. Areas of expertise: Gold coins, silver coins, Latvia coins, Russia coins, World coins, Historic and old coins, 2 Euro commemorative coins, Euro circulation coins, Gold and Silver investment coins, Paper money, Accessories for collectors, Popular trends, buying and selling coins.